Completely agree when you say this film should be commended for its ambition - the scope of the thing is simply staggering! I saw it yesterday and it blew my mind. That being said, it is certainly not his best. I think Inception and the Dark Knight edge it, but all in all, Interstellar was an awesome movie. Totally agree with your review! The scope of the ambition of this film is definitely amazing and should be commended above anything else. I can certainly understand how excited you were. I got so excited about Interstellar I went out and started an equally ambitious blogathon to coincide with its release. (http://hitchcocksworld.blogspot.ca/2014/10/voyage-to-stars-blogathon.html) Basically the idea is that you get to put together your own mission into Interstellar space. It's certainly a challenge, but it is still fun and loaded with creative potential. As for the movie itself, I thought it was a great experience. I love Jessica Chastain as an actress. I've maybe seen her in four films now (Take Shelter, The Help, Zero Dark Thirty, and Interstellar) and in all of them she does an amazing job. I swear that actress was born to play strong leading roles. I also liked Anne Hathaway as Brand and while this wasn't the first time McConaughey starred in a great science fiction movie but it was a nice change to see him playing an astronaut this time round. I could definitely see a bit of influence from 2001 and Contact as well, but they also managed to go in some interesting directions with those ideas. Glad you liked the movie. I just saw it a second time recently, and I LOVE it! I wouldn't call it perfect either, but it's such a powerful and emotional experience. Really hope Nolan can somehow get a Best Director nomination for this. Not your usual Christopher Nolan film. It is epic, has a sharp-eyed view of the future, and characters with real human emotions. I really like this ambitious, thought-provoking, uplifting film. Music and film is a great relaxer for me. I am a writer in a buy essays online service, it makes me more stressed. But music helps me to escape from all the stress and pressures. 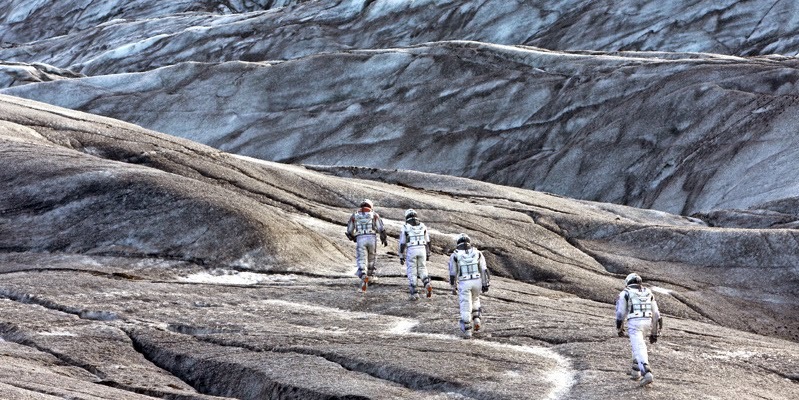 Interstellar is an imaginative movie,which is a heavy-handed mix of personal sacrifice. i liked the review you have shared. if you have any doubt in writing please contact coursework writing service. Thanks a lot for sharing. Check out my site funny mothers day quotes for funny quotes for your mom. e is the fourth most youthful champion of Roland Garros, the seventh player to win a Grand Slam on their first appearance, and since Pete Sampras won the 1990 US open at age 19, Rafa is the principal young person to do this once more. You get latest information about technology in Tech blog. Nice Topic.Thanks for sharing this article. i liked it. i liked the film ,its not like that it is boring or sumthng else i found it a one time watch!!! valentines day wishes for girlfriend The week of Valentine day is about to start. People are waiting for it. They are just planning that how they will impress their lovers on this event. They also think that how they will make a valentine on this event.